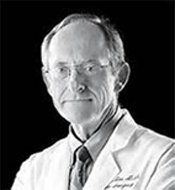 With more than 35 years of practice as a board-certified plastic surgeon serving the residents of Lafayette, Lake Charles, and surrounding communities, Dr. Louis G. Mes has earned a reputation as a leading expert in aesthetic surgery. Dr. Mes is proud to help patients enhance their natural beauty and feel more confident as they go about their daily lives. A native of Rhodesia, Dr. Mes used his plastic surgery skills to help patients in South Africa, England, and Scotland before settling in Lafayette. He has been named one of the Leading Physicians of the World and was awarded the Coller Prize of Medical Research, among other honors. Contact our office today to learn more about our cosmetic surgery treatments or schedule an initial consultation with Dr. Mes. Being available to our patients is our top priority; if you have a question or emergency, you can speak to one of our team members rather than an answering machine. Everyone in our office, from our front desk staff to our nursing staff and clinical aestheticians, is happy to address any concerns you may have about your treatment. Our well-trained patient coordinator, registered nurses, certified surgical technician, administrators, and, of course, Dr. Mes, will help you understand the benefits and risks involved with each treatment so that you can make an informed decision. We understand that plastic surgery is a personal and often sensitive matter, so we work to support you throughout the treatment process. Our convenient office also creates a welcoming environment, with comfortable, modern décor. We provide a full suite of cosmetic procedures to suit your unique needs and wishes. Dr. Mes performs customized surgeries such as breast asymmetry correction and	body contouring. We also offer many non-surgical treatments to improve your appearance, including BOTOX® Cosmetic, injectable fillers, and a variety of	med spa skin treatments. The best indicator of our level of care is Dr. Mes' five-star rating on DoctorBase, an independent, verified review site. One patient commented: "I always have a positive experience at the office. Everyone is attentive and super sweet," while another reviewer wrote: "I felt completely comfortable with the doctor and staff and can't imagine going anywhere else." To learn more about our practice or schedule an appointment, contact our office today We look forward to meeting you!